I am making ham steak for this Sunday’s dinner. 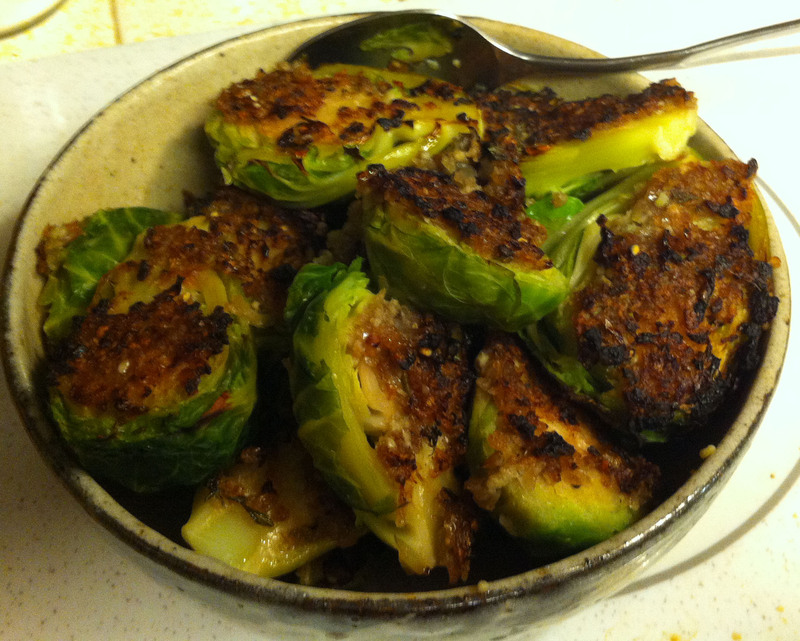 Miriam requested cauliflower and Jan loves Brussels sprouts. 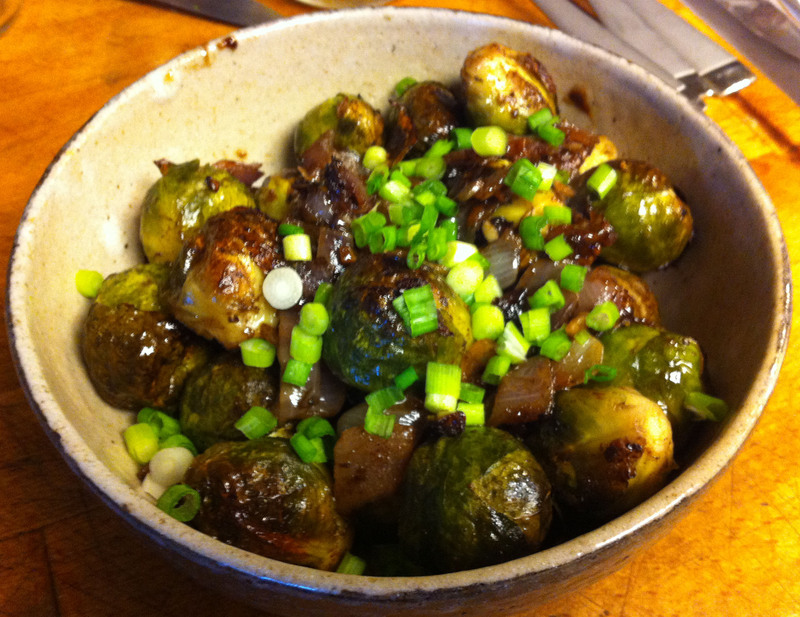 I had thought to make two separate dishes, but as I was looking at recipes on-line I saw that several combined these vegetables. For me ham calls for Southern (U.S.) cooking and it is not a Southern recipe if it doesn’t have bacon. 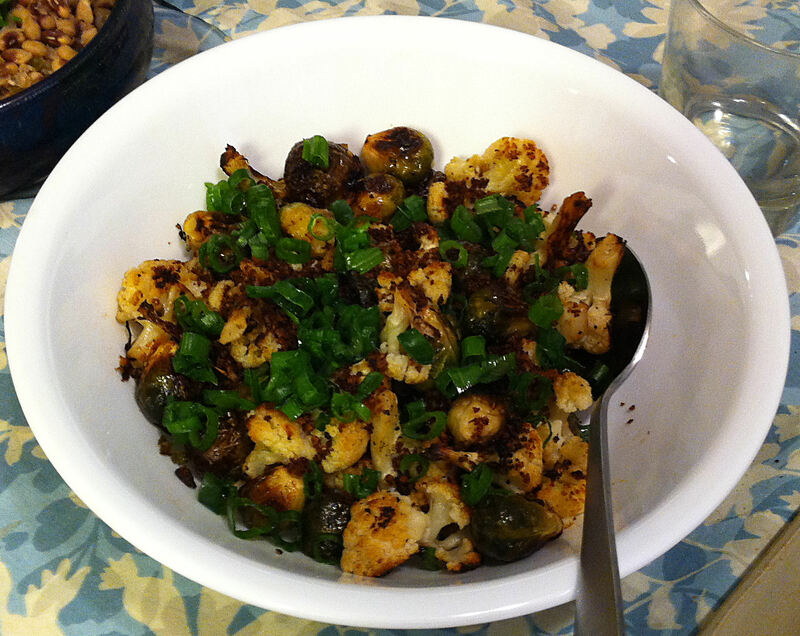 I did not want all of my dishes to be the same, so I decided to leave the Sichuan pepper out of this one. When I am home alone, I will frequently make a lunch of some sautéed vegetables with a tablespoon of Chinese chili garlic sauce stirred in. 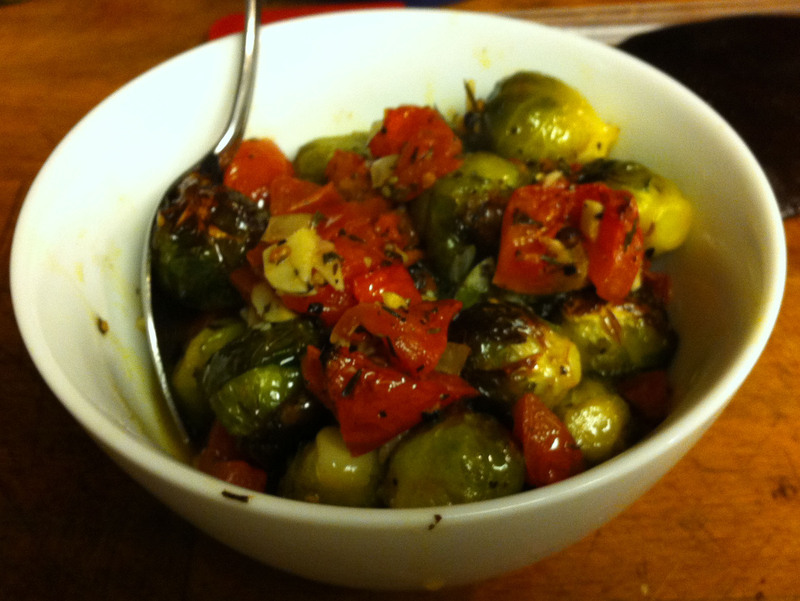 I decide to carry that idea a step further in these roasted vegetables. 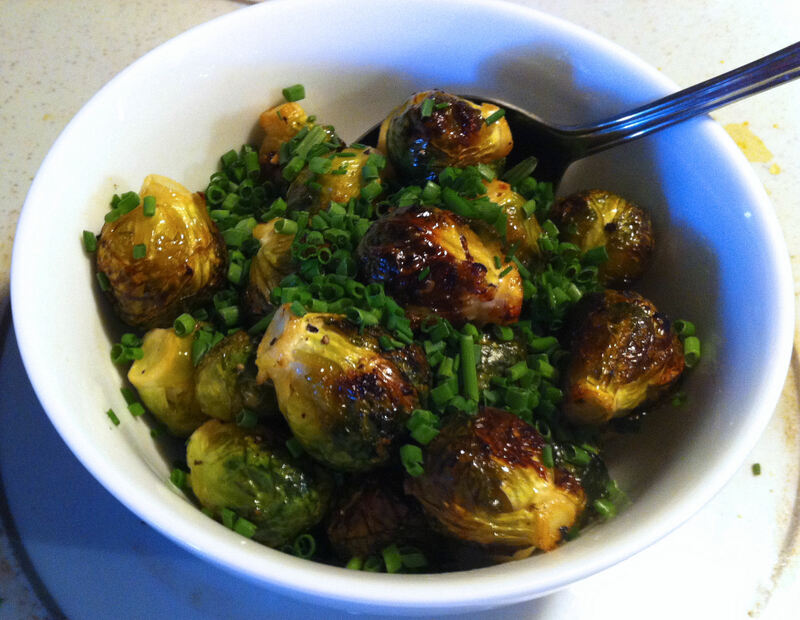 The farmer’s market last weekend had these huge Brussels sprouts. The small ones were an inch and a half and the largest were easily two inches. Normally I like to buy the smallest I can find, but these were like cabbages. I decided that I would cut them in half and cover them in onion and garlic so that the juices would flow down between the leaves as they roasted. 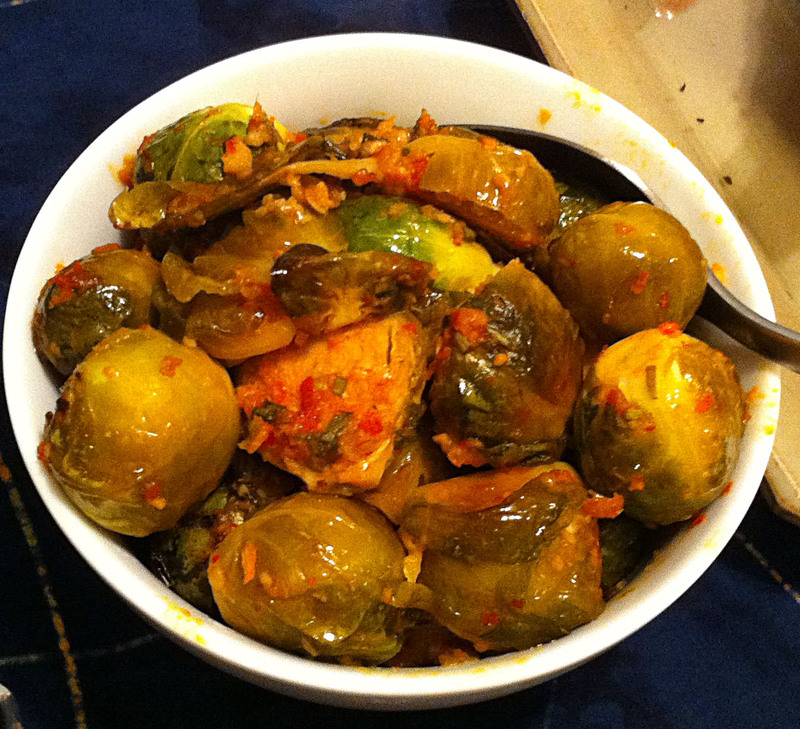 Brussels sprouts are Jan’s favorite vegetable, so we bought a pound yesterday at the farmer’s market. The question was what to do with them. 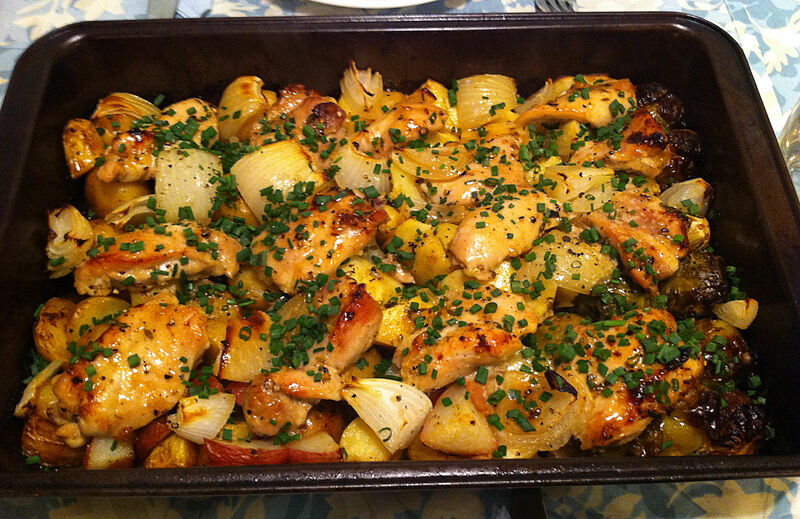 This is a side dish that I made to go with my Jamaican Chicken, so I wanted something using Jamaican spice blending. Although I am grilling, the barbecue will be filled with chicken, so I will have the do these in the oven. 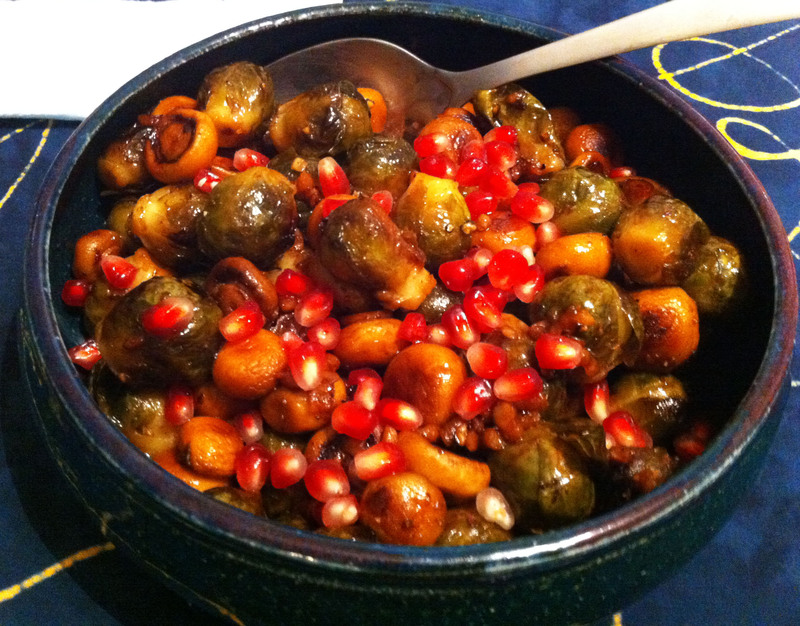 This is a side dish that I made to go with my Persian feast. I do not know if any Persian would come up with this dish. I am simply using Persian ingredients in a way that pleases me. With the French girl here every day seems like a challenge meal day. I decided I needed a vegetable side dish to go with my chicken and faro. 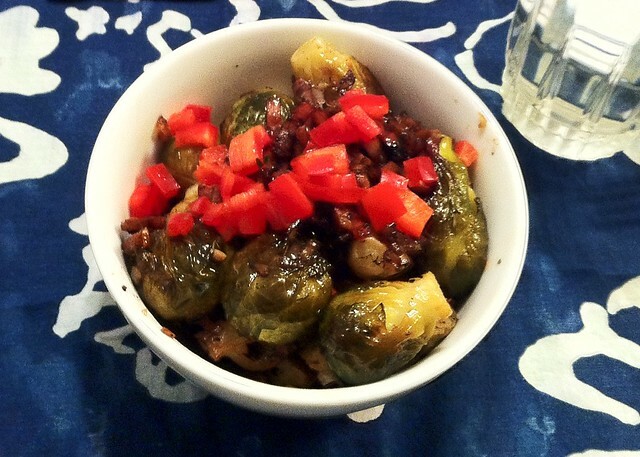 I have not made Brussels sprouts in a while and Jan really loves them.